Oh my Garde, they killed Remi! For those of you unfamiliar with South Park, that humorous opening line means nothing so to translate, Aston Villa have parted ways with French manager, Remi Garde. It was, to say the least, a frustrating spell for the former Arsenal player who managed only two league wins from the sum of his matches in charge. Whilst it was well understood that the manager felt that he was let down by the owner and board with regard to transfers during the winter window, stories have since emerged that players he was told were contacted about a transfer but had declined to move, were not in fact contacted at all. Ouch. It really is looking terminal for the Villans at this stage. Any of you who fancy getting rid of some money for nothing other than shits and giggles might fancy placing a wild wager on them managing to stay afloat. You could probably name your price, it’s that tragic for the midlanders at this stage. They are bottom of the pile, nine points adrift of nearest neighbours Newcastle. 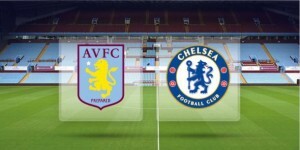 A team can amass nine points from three wins and three wins is all that Villa have managed in the league this season. The previous two paragraphs have been so unremittingly bleak with regard to the home sides hopes for the rest of the season that it hardly seems necessary to write a word about their opponents – surely a well-drilled mob of muscular mallards could put them to the sword at this stage? Well then step out of the pond, Chelsea! The London side are out of Europe with only an outside chance of making European places. Hiddink has certainly steadied the ship since Chelsea made Mourinho walk the plank even if said steadying has resulted in a deluge of draws. Still, they remain unbeaten in the league under the Dutch man and are one of the form teams since his arrival. Can you imagine that any of Chelsea’s returning international players were losing sleep worrying about their away trip this weekend? Given their predilection toward an unforced draw, the adventurous money in this match might look to see Chelsea leave with just one point in the bag. In an attempt to clutch at the straws required for this hypothesis to work, one might point to their draw against City in Garde’s first match in charge and their opening day win against Bournemouth way back in August as the type of form they might be capable of at the offset of a new regime/season. If you buy into all of the above (and you probably shouldn’t), the best price available for a draw is 57/17 from MarathonBet. Another one that can be filed under: This dude doesn’t know what he’s talking about. You’ve guessed it, we’re going to try and make a case for the underdog here. But what a lovely underdog to want to back! This column had entertained early season fears for the plucky Cherries but thankfully that now looks like it was misplaced as, barring a meltdown of Chernobyl proportions, they look to have secured themselves a place at the top table come next season. Currently level with Everton, they are twelve points and four full teams above the relegation zone with seven games to go. Well played, chaps. City, the current envy of the 16 teams below them, are in a weird type of limbo at present. Yes, they are in 4th but they are also 15 points from top and have three teams within four points of them. There has been much speculation about the effect the Guardiola announcement has had on the team and management. Whilst there may be some merit to that charge, it is very difficult to objectively prove that as so given their season had been fairly topsy-turvy early on anyway. What is indisputable is that they have managed to take just four points from the last 15 available in the league, a run of form that both Watford and Norwich can identify with. They seem at stages to be variously jaded, uninterested, flat and fragmenting. Some are fighting still but some others seem content to work-to-rule, whiling the hours away until the summer comes and their agent can earn their 15%. Now, with absolutely no research on our part, this column is fairly confident that Bournemouth had nothing like the amount of players away on international duty over the weekend that City had and will probably have a much fresher squad and first team coming into this match. Buoyed by pure the ebullience of Eddie Howe’s direction and management, there is also little doubt as to which of the two teams comes into this tie with the greater morale and esprit de corps. Yes, there are obvious caveats with calling a home win here (City’s players being of a higher quality than Bournemouth’s being one of the more obvious ones) but if we are to consider this match in terms of form alone (Bournemouth are five points to the better over the last ten games), then the Cherries are a shoo-in here. Granted, that is a terribly shallow analysis upon which to place a bet most of the time but Bournemouth do have a genuine chance of getting something from this game. The more even-tempered among you might fancy a draw (27/10 from BetVictor) but this column don’t play that way, hence the state of near constant penury. Best price for a Bournemouth win is 14/5 from BetFred amongst others. In the recent international friendlies, England came back from 2-0 down to beat the reigning World Champions, Germany, 3-2 in a rare, blistering performance of skill and positivity. What was notable about the England team that night was that the starting team contained no less than seven players from the two teams facing off here, three from Liverpool and four from Spurs. There was much fevered talk about how the influence of both Klopp and Pochettino impacted (and indeed, would impact) on England’s performance. As much as this column is a fan of Klopp’s work, of the three Liverpool players included in the starting eleven, two of them (Henderson and Lallana) had featured regularly for England prior to Klopp’s arrival at Liverpool and both seem to have the favour of England manager, Roy Hodgson. That being the case, it is stretching credulity to shower the German with too much praise regarding his influence on the Liverpool contingent relative to their impact with England. It is a different story entirely with regard to Pochettino and Spurs. Of the four Spurs players to feature in the Germany game from the off (Rose, Dier, Alli and Kane), none had featured for England before coming under the wing of the Argentine boss. One could argue that most of them would have eventually featured internationally one way or another regardless of their manager (such are their skill levels) but the influence which Pochettino has exerted over Spurs as a whole since taking charge nearly two seasons ago has been little short of incredible. They boast the best defense and attack in the league and are duking it out with Leicester to be crowned this seasons league champions. Spurs have gone from being traditionally regarded as a weak and wobbly team to one that is nigh-on unflappable. It has been a remarkable transition. Having been missing in action from Liverpool’s defense since December, Martin Skrtel has returned to action with hilariously predictable results. In his comeback for Liverpool, he replaced fellow centre back, Dejan Lovren, at half-time with Liverpool 2-0 up against Southampton. Four minutes after his introduction, he had given away a penalty. The subsequent conversion attempt was missed, as it happens, but Skrtel did his darndest to help Southampton effect a brilliant second half turnaround which saw the Saints run out eventual winners on a 3-2 scoreline. He then hooked up with his national team during the international break and got caught out badly by Shane Long in Slovakia’s match against Ireland whereupon he gave another penalty away and raked his studs across James McClean’s back for good measure, too. In a friendly. All of which is to say nothing about what will happen in this match. What this column can say with some degree of certainty is that this has the potential to be a mighty match. 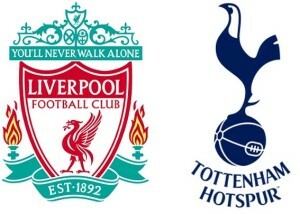 The bookies have Liverpool as slight favourites whilst this column would thought have them as more evenly priced, with Spurs called as slight favourites in a gun-to-the-head scenario. The draw seems to be good value at 27/11 from MarathonBet and that is what this column is going to go with. For those of you who might fancy a swing with Spurs, Betfair and others have a price of 2/1.